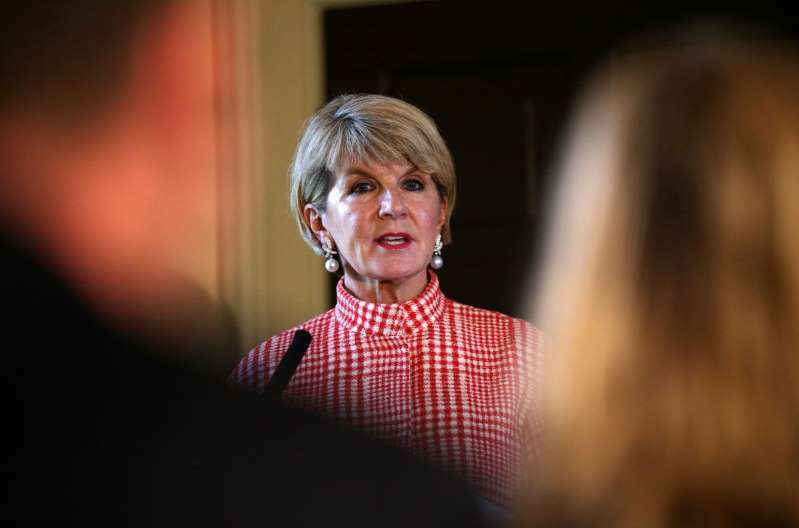 Australia has pressed North Korea over the remains of 43 soldiers still missing after the Korean war in a rare encounter between the two nations, Foreign Minister Julie Bishop said Tuesday. Some 17,000 Australians fought as part of the United Nations multinational force defending South Korea from Communist North Korea during the 1950-1953 conflict. Of these, 340 were killed and over 1,216 wounded. Forty-three were listed as missing in action and presumed dead. Bishop raised the issue in a meeting with counterpart Ri Yong-ho at a security forum in Singapore at the weekend, after 55 sets of remains thought to be of American soldiers killed during the conflict finally returned home this month. [post_ads]"I noted the Americans had received the remains of some of their soldiers after the meeting between President Trump and Kim Jong-un and I asked the Australians also be able to access the sites," she told Sky News. "We offered forensic and expert assistance so that we can recover those Australian remains of soldiers after the Korean War, and he took that on board." Bishop also discussed North Korea's progress on denuclearisation with Ri. "I took the opportunity to talk to him about the leaders' meeting (between Trump and Kim) and North Korea's commitment to denuclearisation... he was noncommittal," she said. Caskets carrying 55 sets of presumed American remains arrived on US soil this month after a June meeting in Singapore between Trump and Kim. Experts have said it could take scientists and historians years to make final identifications. More than 35,000 Americans were killed on the Korean peninsula during the war, with 7,700 of these US troops still listed as missing in action -- most of them in North Korea.